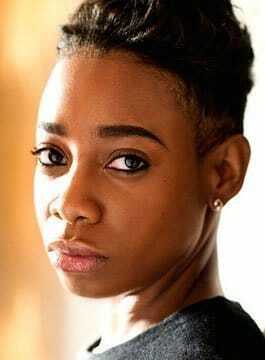 Dotty currently hosts the BBC Radio 1Xtra Breakfast Show (weekdays 7-10am). Dotty is the first solo female to host 1Xtra Breakfast in the station’s history. Under her rap alias ‘Amplify Dot’, she made British music history as the first female MC to sign a major label album deal in over a decade when she joined the Virgin Records roster in 2012. After mastering her trade as a musician and songwriter, Dotty embarked on a new phase of her career as a radio DJ on BBC Radio 1Xtra with ‘The Dotty Show’ which hit airwaves in September 2014. Dotty’s story begins in South London in the late 80s, with her family’s walls shaking to everything from The Carpenter’s to Marvin Gaye and Gregory Isaacs, with Motown vinyls thrown in for good measure. Before long Dotty was carving out her own musical identity and ‘A.Dot’ was born; inspired by everything from Salt N Pepa and Lauryn Hill to Jay Z and Ms Dynamite, the young musician began recording her own raps, dubbed over old cassette tapes. Carefully balancing her thirst for knowledge with her unwavering love of music, Dotty graduated from university with first class honours and an award for Student of the Year, before landing herself a position at leading marketing firm Taylor Herring PR in 2009; all while recording her debut mixtape ‘Born Ready’. She has already collaborated with Busta Rhymes, appeared on stage with Missy Elliott and gained huge popularity as one of the country’s most exciting new radio personalities. Dotty’s ear for new music has nurtured her growing reputation as a tastemaker, earning her a position as one of BBC Introducing’s event curators and the role as an ambassador for the PRS Music Foundation. In March 2015, Dotty was announced as Parlophone Records’ newest A&R, reuniting with president Miles Leonard, who signed her to Virgin Records in 2012.